Teva is looking to evolve its business through new R&D programmes and development of ‘New Therapeutic Entities’ from off-patent drugs. 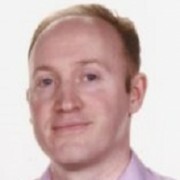 Andrew McConaghie speaks to the company’s Richard Malamut about how it is reformulating and improving drugs. Teva has been pursuing a strategy of combining a huge generics business with an innovative speciality drug development arm for some time, but needs to keep evolving. That’s because the Jerusalem-based firm is facing shrinking revenues in both these business units, with full-year sales for 2015 expected to fall back by up to 5%. So how does Teva plan to reverse this decline? 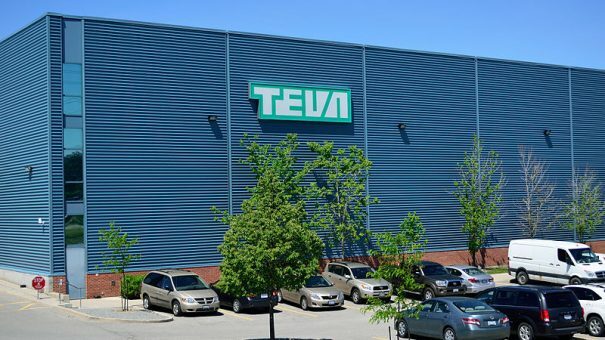 Already the biggest generics company in the world, Teva will get even bigger when it completes the $40.5 billion merger of Allergan’s off-patent drugs division this year. Meanwhile, it is also investing in new R&D programmes, aimed at offsetting the impending loss of exclusivity for its multiple sclerosis (MS) blockbuster Copaxone. But Teva has hit on a third stratagem to build growth – reformulating and improving drugs from the thousands of off-patent medicines in its portfolio. Recently the company gave an update on its ‘New Therapeutic Entities’ (NTEs) – a term it is adopting for ‘reformulated, repurposed or re-engineered’ versions of off-patent drugs. The company also calls this potentially lucrative niche ‘the space between’. Speaking to pharmaphorum, Richard Malamut, Teva’s Vice President of Global Clinical Development Therapeutic Area Head of Pain, Oncology, and New Therapeutic Entities, said his company was uniquely positioned. “The space between is where we can really differentiate ourselves,” he said. The company established a dedicated team three years ago, and has created a clear process to identify and develop NTEs. It now has 20 in various stages of clinical development, the most advanced candidate being CEP-33237, a novel, extended-release formulation of painkiller hydrocodone. The drug is an abuse deterrent (AD) opioid – a new product sorely needed in the US, as abuse of prescription painkillers has reached epidemic proportions in some parts of the country. Teva’s Cima drug delivery unit has developed a new gel barrier technology which means the pill can’t be crushed, injected or snorted. This could help cut the deadly toll of opioid abuse in the US, which claimed the lives of 17,000 people in 2013 through overdoses. Four different AD opioids are already on the market, but Teva believes its drug is superior to existing products. In addition to clinical trials for efficacy and safety, the drugs are also tested (in controlled conditions) on recreational drug abusers. Known as Human Abuse Liability (HAL) studies, these test show if these recreational users can still get a ‘high’ from the drugs. Teva’s trials showed ‘overall drug liking’ was also significantly lower for finely-crushed CEP-33237 compared to standard immediate release (IR) hydrocodone and a competitor product. Teva is trying to be part of the solution, and not the problem, but suspicions about the pharma industry’s role in the abuse epidemic are running high. Purdue markets OxyContin, and is facing legal action alleging aggressive marketing of the drug from the 1990s helped create the problem. Against this background, gaining approval and health insurance coverage for AD drugs is not easy. The FDA has delayed its ruling on CEP-33237, having originally scheduled the decision for last October. The reason for the delay isn’t clear; but it shows that there are few ‘easy wins’ even with new formulations of tried-and-tested drugs. One obvious accusation levelled at companies re-formulating old drugs is that it’s simply ‘evergreening’ – a discredited practice whereby pharma companies gain a few extra years of market exclusivity by launching tweaked versions of their drugs, such as extended release formulations. Richard Malamut says Teva’s approach to NTEs are a million miles from this. Teva’s NTE division uses a methodical but creative approach to scanning its enormous portfolio of generic compounds, looking for ways to innovate and meet unmet patient need. Once it has identified a candidate it undertakes extensive research with patients, healthcare professionals and payers, making sure that its NTE team is pursuing the right priorities. The most obvious places to start are looking at improving the efficacy of drugs by changing the route of administration, or allowing a less frequent dosing. Its second-most-advanced drug candidate is a new, long-acting version of antipsychotic risperidone (formerly J&J’s Risperdal). There is a clear need for new approaches in schizophrenia; currently, two-thirds of patients are non-adherent to treatment within two years. This is often because, once the medicine starts working, patients feel free of the condition and stop taking the drugs. These patients are far more likely to have a relapse, causing suffering for them and huge medical costs. Teva is developing Risperidone LAI, which only needs to be administered once every one or three months – a huge improvement on long-acting antipsychotics, which have to be taken every two weeks. What’s more, Teva’s drug can be given subcutaneously, rather than the intramuscular injection into the buttock needed for existing ‘depot’ formulations. Indeed, other companies have already had success with the NTE approach. Celgene’s nanoparticle cancer drug Abraxane and Roche’s antibody-drug conjugate Kadcyla are two notable examples of existing drugs boosted by new hi-tech drug delivery technology. Meanwhile in the schizophrenia space, Otsuka is already working with Proteus Digital Health on a new version of its post-patent schizophrenia treatment aripiprazole. The companies have developed the world’s first digital pill to aid compliance, and submitted it to the FDA last September. Nevertheless, Teva is hoping its huge portfolio of products, combined with its R&D experience, and a dedicated ‘industrialised’ process, will help it make this space its own. The company will focus on its key therapy areas, CNS, neurodegenerative diseases (such as Huntington’s Disease and Parkinson’s disease), MS, neuropsychiatry, pain, migraine, and respiratory disease, but Malamut says it is more than willing to step outside these areas if the opportunity is right. The NTE group is exploring all avenues for re-engineering old medicines, including drug device combinations, new technology platforms or “perhaps harnessing e-health,” according to Malamut. Drugs which emerge from the process could be filed with the FDA through two routes. The first is 505(b) (2), a pathway tailor-made for re-purposed versions of existing drugs, and which usually confers a minimum of three years’ market exclusivity (assuming the programme includes a clinical study deemed necessary for regulatory approval). But Malamut says some NTEs may well be better suited to 505(b) (1), the route used by completely novel drugs. If approved through this process, NTEs would then gain five years of market exclusivity. One clear commercial hurdle will be cost: if the company puts too high a price on its NTEs, payers will cry foul, and accuse them of marketing tricks in order to ramp up prices. But if it can genuinely add value, the drugs could be a major new revenue stream. Malamut won’t discuss any commercial questions, but makes it clear such issues are well understood and weighed up within the company. Malamut concludes by saying that the NTE division will have a development timeline much shorter than the 8-10 years needed for entirely novel drugs – a claim which will be put to the test over the next few years. Read more about the NTE programme on Teva’s website here.